We have a friend in Victoria who works for a large asparagus grower. From August through to December, for the last three years that we lived down there, he'd call us on his way home from work and swing past with a shopping bag bursting with spears. They were all at least 30 cm long, as thick as sausages and still covered in the dirt from which they'd come, just hours before. 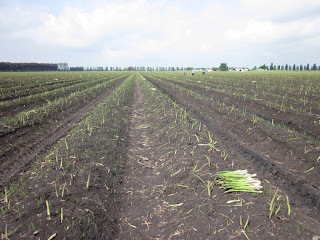 In September 2011, one month before I moved to Tamworth, I was lucky enough to visit the farm, at Koo Wee Rup - head south east from Melbourne and you'll find yourself in the largest asparagus growing area in Australia. Located 65 km from Melbourne, the Koo Wee Rup and Dalmore area produces a whopping 93% of Australia's asparagus – and a fair chunk of export asparagus, too. I was thrilled to see how black Koo Wee Rup's peat soils are, perfect for the yummy spears. Asparagus grows from crowns which enthusiastic home gardeners can buy form the nursery. However commercially, growers plant the crown from seed, and it takes four years to get the first saleable crop. 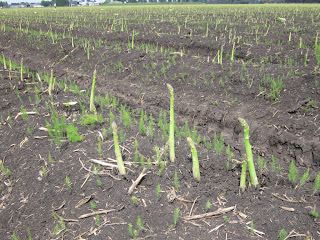 Even on commercial scale asparagus is harvested by hand to protect the fragile spears. 'Cutters' walk along the rows and use a long handled knife to cut just below the soil surface. The spears are then placed on the ground in groups and collected using self-steering pick up machines. These machines are unique to the asparagus industry and allow the operator to bend down and carefully pick up the bunches without damaging the asparagus. 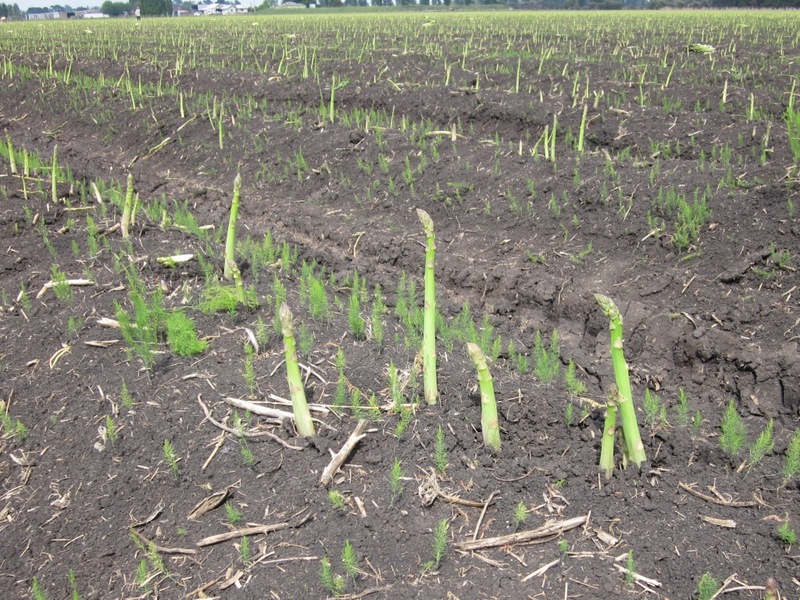 Asparagus spears are highly perishable once harvested so growers move quickly to get the harvest sorted and packed. The farm we visited passes full crates through a cool-water pre-wash to remove any debris, cool the asparagus and provide some moisture to keep spears in tip top condition. 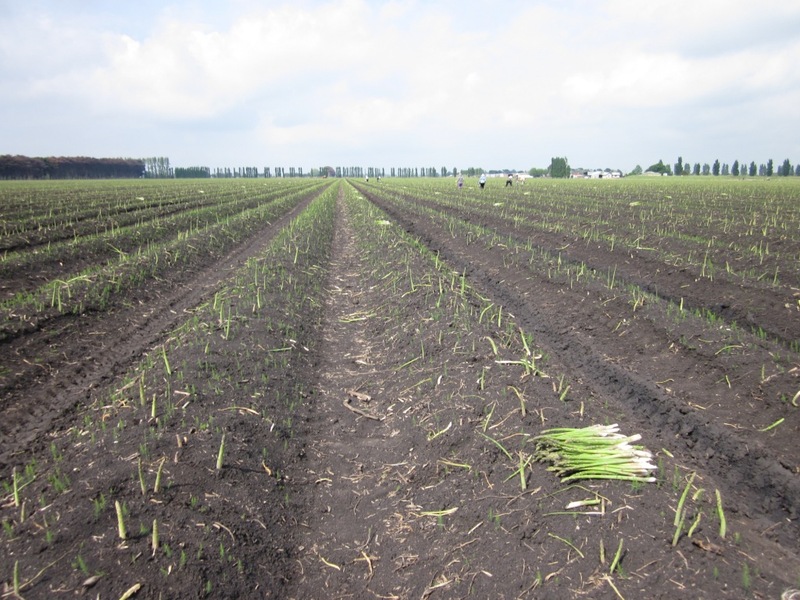 Many commercial growers then sort their asparagus using an impressive computerised grading system. Spears run along the grader belt where they are graded according to length, and much of the white base is sliced off. They're then bundled and packed by hand, ready to reach our shelves or the export market. The Asian market is a key export destination for the grower I visited. They are able to harvest, pack and airfreight the product all within the same day, with spears arriving at their destination the next morning. Now that's fresh. Asparagus spears literally grow overnight when conditions are warm and humid – any home gardener with their own patch will know I'm not lying. 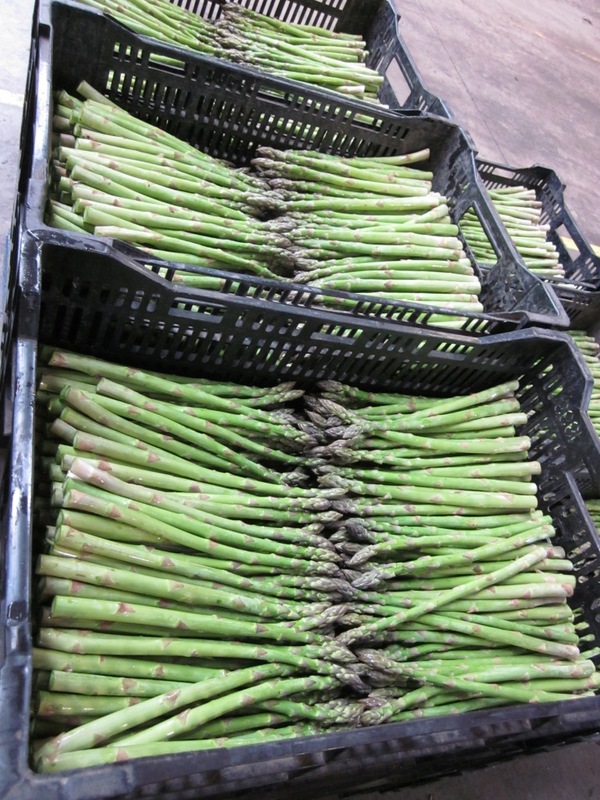 So paddocks are harvested every day during this time, which means super fresh asparagus for us. Don't forget to check where your asparagus is from - it's not uncommon to find foreign spears from Peru on our shelves. It's definitely worth waiting for the Australian season to kick in (August - December) for Aussie-grown goodness.